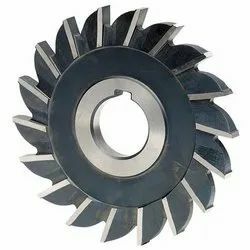 Prominent & Leading Manufacturer from Rajkot, we offer side and face cutters and milling cutter. Our clients can avail from us a wide range of Side and Face Cutters at industry leading prices. These are manufactured using high grade raw material, for effective cutting function, as per the I.S.S. & B.S. standards. Our cutters are available in different diameters ranging from 50mm to 250 mm with straight and staggered tooth form. These are extremely sturdy and are used for light & heavy deep slotting of varied material, ranging from steel to most soft material.